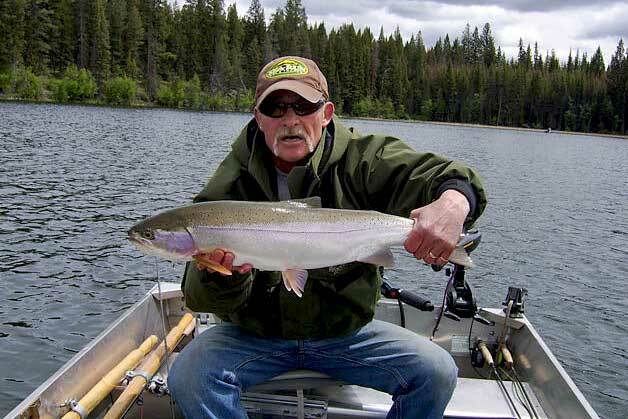 Every spring and summer, interior regions of British Columbia offers excellent stillwater fly fishing opportunities for quality rainbow trout. These rainbow trout take advantage of the warm season by continuously feeding on insect hatches. The hatches may vary, therefore it is important to have an array of fly patterns which cover all situations. Without the right pattern, you may end up having a fishless day while feeding happens all around your boat. Sea-Run Fly and Tackle in Coquitlam will be hosting a rainbow trout fly tying class on Thursday April 12th. The class will focus on stillwater selections and eight productive BC stillwater fly patterns will be featured. Techniques used to fish these flies successfully for rainbow trout will also be discussed during this class. The class runs from 6:00pm to 10:00pm on April 12th. The cost is $45.00 + HST per person. To register, please phone Sea-Run Fly and Tackle at 604-931-5044 or email the store. The store is located at #110 1140 Austin Avenue in Coquitlam.